A reader asked me interesting questions about the taxation of software licenses sold to Brazilian individuals (end customers). He linked me to this article about problems foreign companies face to invoice Brazilian customers. Selling through a subscription model in Brazil. The article is very good in laying down a practical business perspective of the problem. His questions to me was: "is there realy a withholding tax when you send a normal invoice or get a payment via credit card, made by an individual"? Apparently, his accountants thought it was very odd that a country would limit its online sales in such way. The withholding income tax works the same for companies and individuals, for the greater part. In short, withholding tax is due even when payments are made via credit card. However, there is little government oversight so most customers just don't bother to pay it. But, if you start selling to hundreds or thousands of customers in Brazil, the local bank, credit card company or payment gateway will probably start asking questions and will try to make you responsible for collectint the income tax. Also, you won't be able to sell to corporate clients in Brazil, who simply cannot dodge the taxation. Mr. Ernesto Araujo, the current Minister for Foreign Affairs, has given us some insights on what to expect of Brazil's future trade policy. During a public lecture to a class of new ambassadors Mr. Araujo has stated that "We want to export soy and iron ore but won't sell our souls for that". Although dramatic (he is very poetic is his speeches), the phrase is a good condensation of the main points of the new policy. e) his comments on the harsh reality of international commerce and international competition seem to be a hint towards Bolsonaro's government plan which clearly stated the objectives of reducing import tariffs and incentivizing high-tech industries. Cualquier persona que planee comprar bienes raíces en Brasil debe obtener un número de inscripción de impuestos llamado CPF (Cadastro de Pessoas Físicas). 1. Durante una visita a Brasil, pagando una tarifa barata en la oficina de correos y luego yendo a una de las oficinas del Servicio de Impuestos. 2. En el extranjero, llenando un formulario en el sitio web del Servicio de Ingresos y luego visitando el consulado más cercano. Dependiendo del país, una oportunidad puede estar disponible de inmediato. En los países donde la demanda de servicios es alta, es mejor prepararse para esperar hasta 30 días. En cualquier caso, necesitará un documento que contenga el nombre de su madre. Podría ser su pasaporte, o su identificación, etc. El CPF es una cadena de números. Solía ​​venir como una tarjeta de plástico azul, como esta. Pero dejaron de imprimirlos para los no residentes. Ahora solo te dan los números. 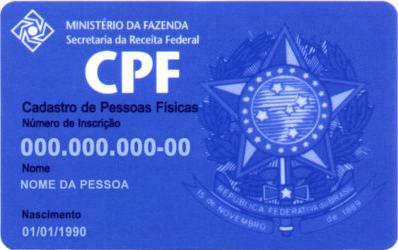 Una vez que se inserte el nuevo CPF en el sistema del Servicio de Impuestos, el CPF estará disponible para cualquier agencia pública en Brasil, incluidos los departamentos de registro de bienes raíces (cartórios). También estará disponible para consulta por parte de los bancos y otras entidades financieras. Anyone who plans to purchase real estate in Brazil must obtain a tax enrollment number called CPF (Cadastro de Pessoas Físicas). The CPF is like a social security number. It is required for doing anything in Brazil. You can’t open a bank account or buy a car without having one. During a visit to Brazil, by paying a cheap fee in the post office and then going to one of the offices of the Revenue Service. Usually, no scheduling is necessary. One can just show up. Abroad, by filling up a form in the Revenue Service website and then visiting the nearest consulate. Depending on the country, a times slot may be available immediately. In the busies countries, however, you should prepare to wait up to 30 days. In either case, you will need a document that contains the name of your mother. Could be your passport, or your ID, etc. The CPF is a string of numbers. It used to come as a neat blue plastic card, like this one. But they stopped printing them for non-residents. Now they only give you the numbers. Once it is inserted in the Revenue Service system, it will be available for any public agency in Brazil, including real estate registry departments (cartórios). It will also be available for consultation by banks and credit rating agencies. This article actually confirms my latest predictions about a future Bolsonaro presidency. The election of Jair Bolsonaro as the next Brazilian president is very probable. In this post, I will describe his base of support and the official documents of his campaign and present some conclusions on how his government will affect foreign investors. The initial two thirds of the post will review the scenario and the candidate’s proposals. My personal views and forecast follow in the end. Before ultimately choosing Paulo Guedes as his ministry for economic affairs (he is in the right of the picture) Bolsonaro had a political affair with Mr. Adolfo Sachsida. Sachsida is a PHD in economics, with a post-doc degree from the University of Alabama. He has kept a blog and a YouTube channel for many years, which he used to defend that Brazil desperately needed more economic freedom. He may be called a classic liberal, in the sense of an advocate for small government and free enterprise (close to a libertarian, definitely not a liberal as in “left-wing”). Ultimately, Bolsonaro chose Mr. Paulo Guedes, who is also an economist with clear free market inclination. 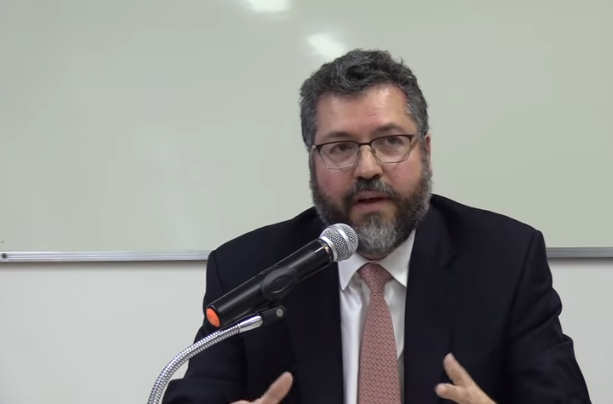 He has a PHD from the University of Chicago and is the founder of a think tank dedicated to free enterprise, called Instituto Millenium, through which he has published many articles criticizing Brazilian excessive bureaucracy, taxes and government intrusion. Moreover, Mr. Paulo Guedes is a well-know player in the market. He has founded Ibmec, a very successful college that teaches business and economics. He has also worked in the financial market and is one of the founders of Banco Pactual bank. In short, Bolsonaro has been building relationships with advisors who are unquestionably pro-business. Undeniably, Bolsonaro enjoys a very high popular approval. This is his real strength. The industries mentioned here should not be understood as hidden puppeteers running the show, but only as lateral supporters. Agribusiness has been an early adopter of Bolsonaro. This has much to do with the previous government’s support for land expropriations, invasion of land by guerrilla movements and severe environmental restrictions. Banks and other financial institutions were, to some extent, comfortable under the worker’s party (PT). The economy had good periods and credit expansion was incentivized. Moreover, the government’s increase in expenses relied heavily on internal loans. Business was good. In the last 04 years, the severe economic recession damaged the relationship between PT and banks. Geraldo Alckmin, the candidate from PSDB party, was supposed to be the candidate of the financial sector. His party is basically favorable to increase in government expenses, although not so radically anti-business as PT. However, Alckmin’s performance in the pools (and eventually in the actual first round of voting) was dismal. As a result, the financial industry ended up favoring Bolsonaro, who is not n favor of increasing government indebtedness, but who at least offers a pro-business agenda. Support from organizations representing the industrial sector has never been enthusiastic. Nevertheless, Bolsonaro was the only candidate to firmly promise to uphold and perfect the labor laws reforms approved recently. So, they joined him. Some of the non-business entities that support the candidate are the state’s Police Forces, some sector of the Military, most Protestant churches and a relatively small part of the Catholic Church. There have been hints of support from the Freemasonry. The campaign program opens with a bold statement in favor of private property. People must be free to make choices. The material fruits of those choices, if generated honestly in a free-enterprise economy, have a name: PRIVATE PROPERTY. (…) your car, you land are fruit of your work (…). They are sacred and can’t be stolen, invaded or expropriated. The program indicates that the rules providing for equal treatment of foreigners and Brazilians will be maintained. Any person in the national territory, even if he is not a Brazilian citizen, has inalienable rights as a human being, and has the duty to obey the laws of Brazil. d) Explosive deficit in Federal budget. This last topic receives considerable attention. The primary deficit (before payment of interests) is described as 139 billion BRL (37,5 billion USD). The team promises to reduce it rapidly, by reducing expenses, mainly by removing political appointees from the Federal structure. The nominal deficit (which includes expenses with the payment of interests), amounting to 489,3 billion BRL (132,2 billion USD), is described as a great reason for concern. The deficit in the public pension system (around 77 billion USD each year) is also included in the list of problems. Aggressive privatization of state-owned companies. The government will adopt zero-based budgeting, as an effort to trim as much unnecessary expenses as possible. The minister of economic affairs will probably absorb several other ministries, such as the Treasure, Planning, Industry, etc. There is a proposal to reduce import taxes, eliminate non-tariff barriers and to enter into new bilateral trade agreements. The program mentions incentives to the importation of high-tech machines to enhance the adoption of “industry 4.0” and the success rate of startups and scale-ups. The project proposed by the campaign team is twofold. One promise is to reduce daily bureaucracy, the infamous need for stamps and certified copies that is so common in Brazil. There is a promise to unify the procedures for incorporation and liquidation of companies. Another ramification of this topic is the promise to crack down on corruption and tax evasion. Note: Concentration of tax revenue at the Federal level is a huge problem in Brazil, since it leaves municipalities and states in a very disadvantageous position when negotiating with the Federal government. This may require constitutional reform. Note: A system of this kind would reduce the leverage of the Worker’s Party, since direct handling of monetary benefits is a big campaigning point for PT. For social security, the project is to create a parallel system of individual contribution and to reduce the mandatory withholding of social security tax in the paychecks. The plan is to progressively reduce the current system, which is dependent on complementary funding from taxes, and to shift as many people as possible to the new individual contribution system. Bolsonaro’s Project for the area include the blending of the ministries for agriculture and environment protection. Ministries that are connected to agribusiness, such as fishing will also be agglutinated and subject to centralized policies. Overall, reduction and simplification of regulation. The program brings heavy criticism of former president Dilma’s policy of mandatory review of rules for the electricity sector. There is mention of putting an end to the rules demanding minimum percentage of local content for Petrobras’ purchases. Also, the program mentions a reform in the rules for distribution of natural gas. Great emphasis on the need for renovation of railroads, ports and airports. The cabinet will try to attract private investment for these areas. Bolsonaro’s assessment of the Brazilian situation is very accurate. And the solutions are on point. I believe that, in economic terms, his government will be very successful. Since the Lula presidency, Brazilian law has been tweaked to make it harder for foreigners to purchase rural land. Many lawyers have studied the issue and concluded that the limitations were unconstitutional. But the fact is that severe restrictions are already in place. Bolsonaro agrees with such restrictions and has openly criticized the purchase of large areas by foreign investors, especially Chinese (but also Arabs and others). His administration will probably apply measures to make it harder for foreign investors to purchase property titles. Those measures could mean anything from harder administrative control over deeds to an actual constitutional reform. The practical impact of these restrictions for daily business should be low. The market has already adapted to the current restrictions, by shifting from land purchase to contracts for sale of future crops, joint-ventures and similar arrangements. Bolsonaro has promised to ease environmental restrictions. But, more than waiving legal requirements, which would require legal changes subject to congress, his administration will probably restructure the environmental law enforcement agencies and the procedures for acquiring licenses. Environmental licensing is partially managed by states and partially managed by the Federal Government. The productive sector has accused the agencies involved in the process of being slow, ideologically biases and, at times, corrupt. It is an absolute certainty that they are slow. Licensing takes years. I must note that similar programs to reduce bureaucracy have been adopted by the Temer government in several specific areas, such as in the customs, with very good and fast results. Bilateral agreements will be favoured. One can anticipate stricter tax penalties and enforcement of anti-corruption controls. Bolsonaro’s cabinet should include several military advisors, who will act as a counter-balance to Mr. Guedes’ libertarian views. Companies that are deemed essential to national security, such as the nuclear energy companies and Petrobras, will probably remain under Federal control. This is a huge campaigning point. Brazil allows the ownership of guns, in theory, but administrative and importation restrictions make them available only to the upper middle-class or to people with connections. The stocks of Forjas Taurus, the main arms manufacturer in Brazil, have increased in value significantly during 2018, in anticipation of a surge in sales. The military and the state police forces will receive special attention. The arms industry, including not only pistols and offensive equipment, but also intelligence technology and vehicles, should keep an eye in Brazil. My clients who work in the financial market are very excited and expect an increase in foreign investment, mergers & acquisitions and in the general economic activity. 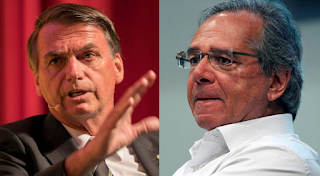 As I’m writing this article, about 10 days from the 2nd round of the election, there are many manifestos, declarations and articles, mostly from left-wing thinkers, that condemn Bolsonaro’s economic plans, or that suggest that, despite his plans, his government will turn to dictatorship and eventually ruin Brazilian institutions and international credibility. There are too many of them. But names such as Piketty and media outlets such as The Economist will give the reader an idea of what I’m talking about. Plainly speaking, I deem this kind of criticism utter nonsense. I have read all the material I could find and perceived that there has been very little analysis of Bolsonaro’s actual plans. Most criticism is based on ideology or is, simply put, propaganda. There is no analysis of his actual cabinet members, political base or economic policies. The people who studied the plan and that have skin in the game, such as financial firms, stock brokers and Brazilian banks, approved the proposals and do react positively each time a pool shows that the chances of the candidate are increasing.